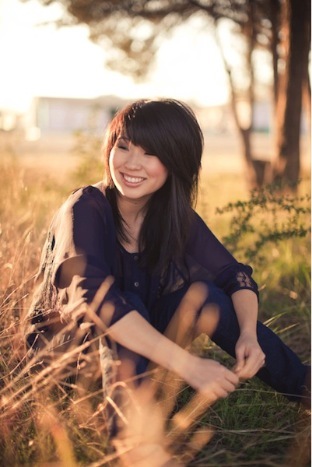 Kim studied classical piano starting at age four and for a short while was a piano performance major in college. Her grounding in music theory, orchestration, and arrangement is clearly evident on Wanderlust. Kim credits moving from her snug Lehigh Valley, Pennsylvania hometown for much of Wanderlust’s lyrical inspiration. “I moved across the country 3 times in the last 2 years: Pennsylvania to Texas to California and then to Texas again to record the album,” she details. Kim is now taking Wanderlust stateside on her first tour. She will be playing coffeehouses and doing intimate living room performances as a duo, with her cello player. Don’t miss this charming and uplifting chamber-pop artist when she hits your local java spot. The Artist of the Month for April 2012 is selected for us by Alex Hemen who is the Activity and Events Manager for the Adnams retail stores. 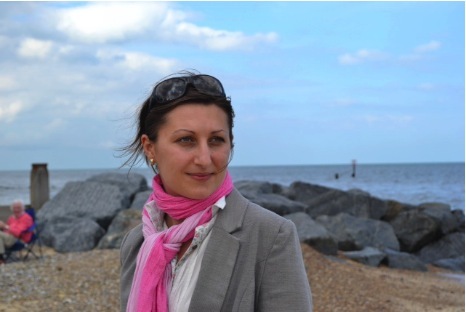 Alex arrived on these shores three years ago from Romania and finds surprising similarities between her birth town in the mountains and her new home on the Suffolk coast. With that serious re-location, it is perhaps not so surprising that she identified with Kim Edwards’ beautiful song Wanderlust. Hear the extended interview in which Alex talks about her musical tastes, her Romanian heritage and her life here in Suffolk.